Spring feels like a new beginning doesn't it? 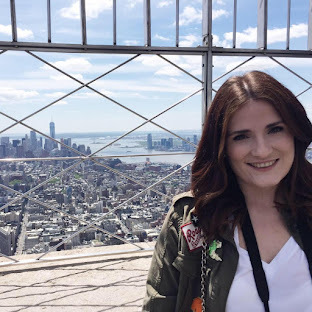 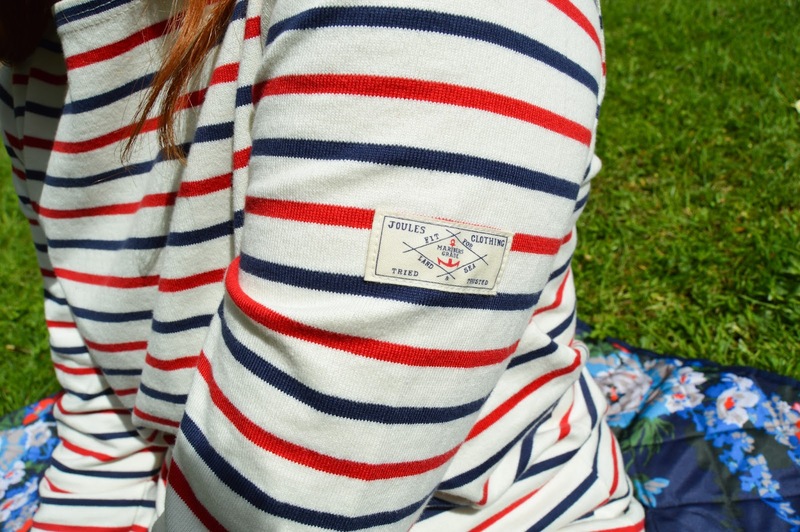 I just want to be out in the sun. 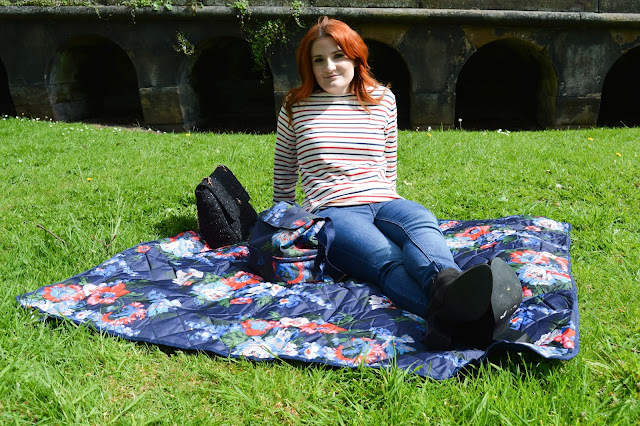 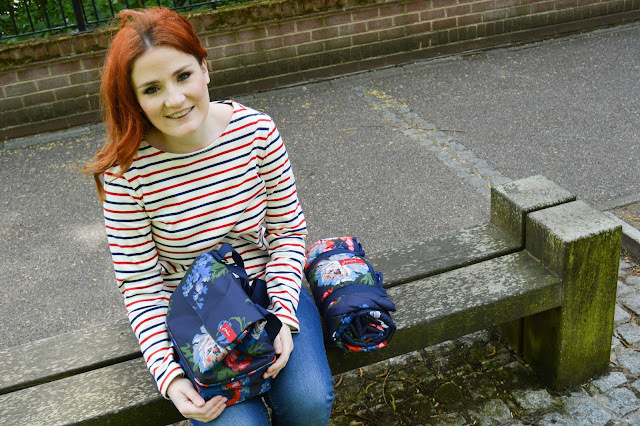 Joules provided me with a picnic blanket and cool bag to take on a Summer picnic, so Rhys and I travelled to Chester and found a nice patch of grass down by the river. 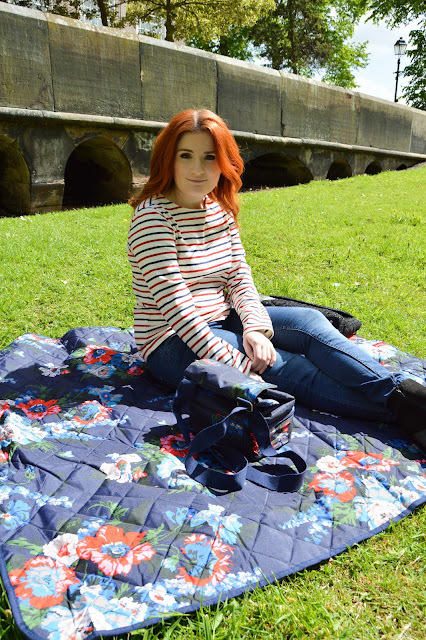 I teamed the red and blue stripped Harbour top with blue jeans and my new suede Faith boots. 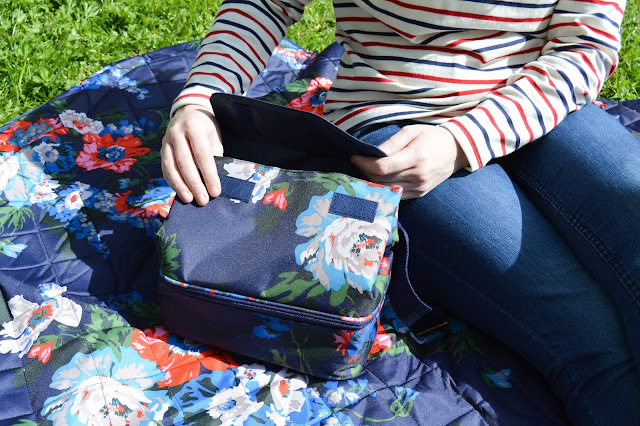 I enjoyed the sun on the Navy Floral Fold and Carry Picnic Blanket and brought along the Flip Flap Lunch Bag. 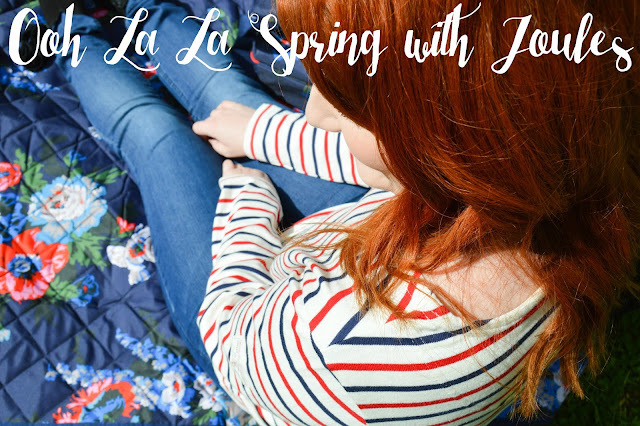 Joules' Spring/Summer clothing range is lovely, you can expect high quality, English inspired designs. I also have a Chambray shirt from Joules which I plan to wear with jeans and converse for a relaxed look. Fancy having a picnic yourself? 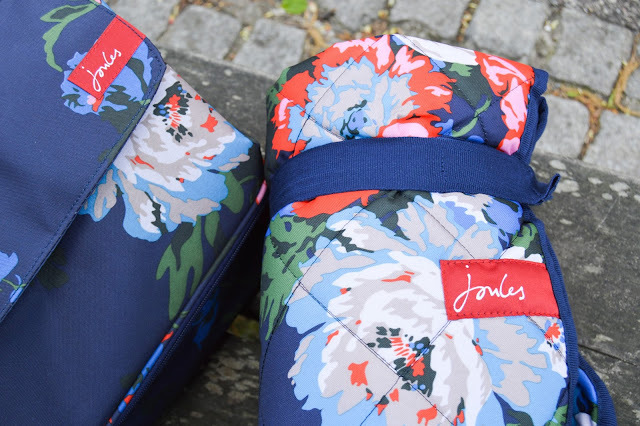 Check out Joules' collection here. I'd like to say a special thank you to Rhys for taking these shots!